The Chicago Tribune and the Chicago Sun-Times are reporting that 47-year old Marina Gonzalez of Stone Park was killed while riding her bicycle in the 1800 block on Mannheim Road when she was struck by a southbound vehicle. The vehicle then fled the scene. The victim was taken to Loyola University Medical Center where she unfortunately died later Monday night. If you have any information regarding this incident you should contact the Stone Park Police Department at 708-450-3215. Unfortunate hit-and-run incidents such as this are why it is important to have Uninsured Motorist coverage with your auto insurer. This kind of insurance provides insurance in the event of an instance where the person at fault does not have any insurance and has limited assets. It is important to speak with an experienced attorney who can help guide through the often complicated issues surrounding a bicycle collision, especially one that results in severe injury or death. There are often critical steps that need to be taken to ensure that key evidence is secured. 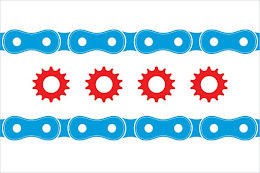 If you have any questions please contact Illinois Bicycle Lawyer Mike Keating at 312-208-7702 or MKeating@KeatingLegal.com.